Trying to summarise four of the most formative years of one's life in a brief blog post must be some form of hubris. What follows is precisely that: a present-biased backward look at what has been four remarkable years of mine. 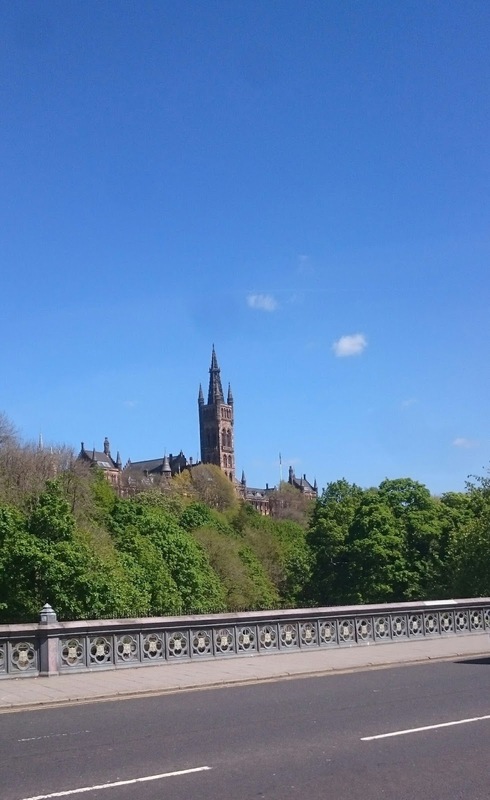 My time as a University of Glasgow student has been incredible, challenging, fantastic and every feeling in-between – a story of permanent scars and lifelong memories. It's been four very important and valuable years. I'm a very different person today than when I as a innocent fresher arrived to a rainy Glasgow Central in September 2013, seriously doubting how sound this adventure was – and honestly, if I should've gotten on the next train back. 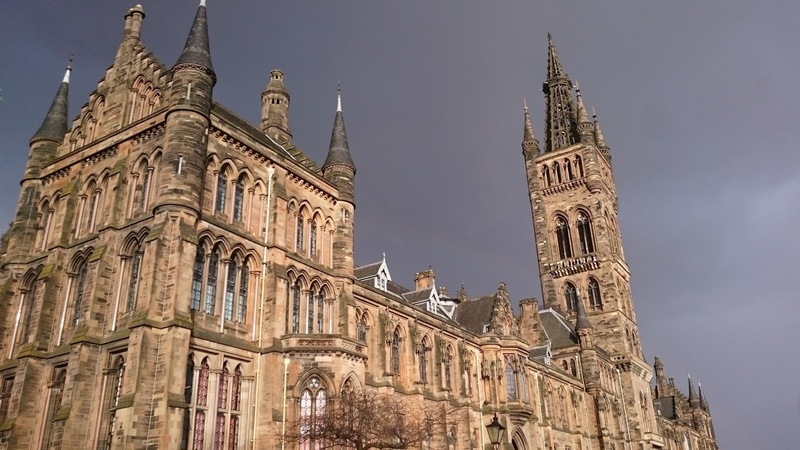 If the massive transformation and insane increase of knowledge that occurred over the next 1347 days had very much to do with the University itself is questionable, a point econometricians struggle to find much evidence for. 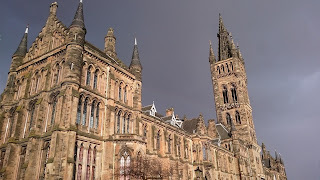 Anecdotally, I can say that experiences had in Uni – often in the classrom or in discussions with other students – have angered or provoked me enough to learn more, work harder, write better. Maybe that counts; different settings may not have created that spark in the first place. Many things have happened over these years: friends gained and lost; countless hours in the library with my two economics homies, UA and B2530 (British Banking and Industrial Revolution/ Economic Growth if you don't speak Library); I have discovered the wonderful world of series, and binge watched too many of them; learned to live with others and with myself, establishing boundaries, guidelines and habits; falling in love, deeply and briefly; learning to deal with rejection, academically, socially, emotionally; slowly getting better at expressing emotions and often lacking the confidence to act on them; acquiring an impressively beautiful library; improving my English, slowly forgetting my German, mostly ignoring any left-over ability to converse in Spanish, but sporadically re-awaken that fascination for languages through beautiful Lithuanian words in second year and cool Hungarian phrases more recently. Begun a blog and actually stuck with it, an endeavor that's taking disproportionate amount of time, but gives me so much joy and therapy and chance to practice my editing/writing skills. The many flat parties and nights spent in the company of beautiful and lovely friends; the common denominator of those nights is what I like to call jumpiness (or sheer bliss) – a state of bouncing around, laughing, loving life and everyone in it: essentially a return of my inner child, or a non-drunken drunk me. The first of many A1s, and I still remember the precise moment I found the data adequate enough to refute my marxist tutor and reward me my first A1; in my excitement I threw my hands up and cried 'YES!' only to realise that half of level 6 was staring at me angrily. The boring macro class when I received my acceptance to University of Sydney for the beginning of an adventure I cherish above every other. My year in Sydney was also one of growing up; not only physically transforming me from a confused second-year to a dedicated forth-year student, but emotionally, intellectually, socially I matured from a rather naive and still impatient teenage-like person to a much more balanced, focused and dedicated grown-up (again, identification here is tricky, since the same development may have happened had I stayed in Glasgow). The many stunning views of the Highlands, the impressive ancient Scottish castles, the gorgeous sunsets from what is no longer my living room. One of the first classes in economic history, where the wonderful Professor Jeffrey Fear charmed me into what has become a (probably) lifelong infatuation with the field. For this, I'll always be grateful, especially since there now is at least one thing –perhaps the only thing? – I'm not completely awful at. A sunny day in May 2014 when the Mises Institute accepted me for its one-week Summer University and changed the course of my life forever. 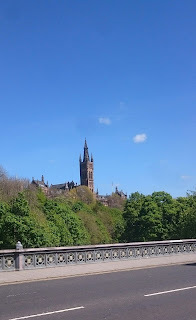 It's a neat irony that I'm now leaving Glasgow precisely for a an entire summer at the Mises Institute. A certain acceptance letter received on a lazy Thursday evening exactly two months ago that I honoured by listening to Nothing Else Matters on repeat for hours while reading it and shaking my head in disbelief. I'm also incredibly grateful for the people in my environment who made me believe it was possible. The many flows in writing essays, reading books and performing well. That feeling is second only to the bliss of non-drunken drunk me, and sometimes not even that. Finally, I have become a much less frugal person, a much more forgiving person, and I believe a more agreeable acquaintance (I almost always say please!). Not coincidentally, I spend much more time on a yoga mat, and I have become a sucker for inspirational quotes (in particular, "The sun will rise and we will try again" and "the master has failed more times than the beginner has tried"), which are kinda essential for dealing with loss of confidence, rejection and recurring self-doubts. Oh, and I have also developed a serious case of addiction to high-quality dark chocolate and yummy food. All in all, four pretty wonderful years, and I wouldn't have them any other way. Supplements For Fitness can only store half of the day. If you eat more than this (of which many of us are guilty), it should be stored as fat.The use of diet pills as a "supplement" to a healthy diet can be useful for losing weight.